I have one more Brusho Crystal tree to share with you. 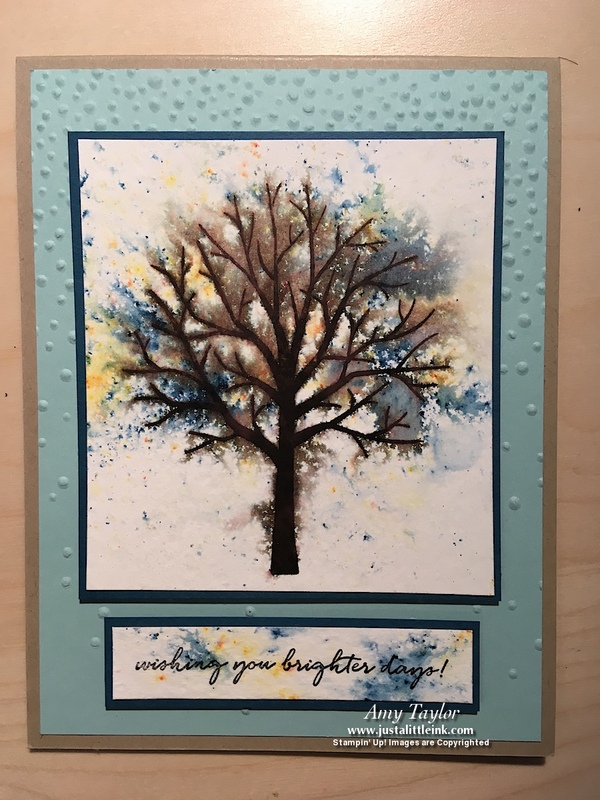 This one shows what it looks like when you do not heat emboss the tree before using the Brusho Crystal Colours. 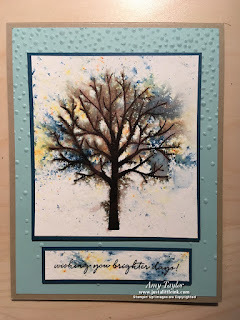 The method I used, was sprinkling onto the tree and then spritzing with the Stampin' Spritzers. It gives a more distressed look! So, I decided to do the same treatment to the greeting.